There was a time in my life where I could lift my arm no higher than my chest and even that was pushing it. From being a hairstylist for so many years, I had developed frozen shoulder from the repetitive motions. It was definitely locked down time, whew! All I could think about, as a younger hairstylist, was how this must be what the older hair stylists were complaining about, hmm. And although I could not imagine the pain at that time, it was all coming in loud and clear to me now!!! Yet this was the thing….I watched the elder stylists I speak of suffer for years or until they received surgery to mend their shoulders. Well, that just wasn’t an option for me. I had made up my mind that there was no way I was going to suffer this way and I certainly wasn’t going to go under the knife. I tried everything. I cleansed my body to rid of inflammation, gave thanks everyday to source for my perfect healing, used music to shift the light in my cells and received a lot of massage. All of those things help a great deal. Although my shoulder began to slowly “thaw out” if you will, it still remained frozen enough to cause me discomfort when I tried to lift it. Then one night after becoming completely frustrated, I threw up my hands, well, not too high of course, ;), and asked the universe to guide me to where I need to be to heal this annoyance. ASK, and you shall receive, right? And receive I certainly did. I sat down at my computer, opened my emails and there was an invitation to something called Qigong. The teachers quote was what captured my interest the most. It said, ” I am the universe, the universe is me, the universe is in my body.” WOW! Alllrighty then! If that is indeed true, then I should be able to heal this instantly. So what’s the hold up? Later, it did dawn on me that I had to release an attachment to an accumulation of toxic situations that I had collected with my spongie empathic self. But first!!! Yes but first, I really wanted to try this seemingly beautiful technique of movements that promise so much freedom and peace. So what is Qigong? Qigong is a powerful system of healing and energy medicine from China. It is the art and science of using breathing techniques, gentle movement, and meditation to cleanse, strengthen, and circulate the life energy (qi). 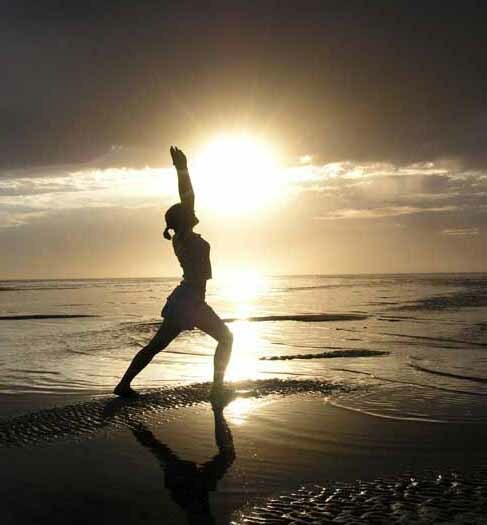 Qigong practice leads to better health and vitality and a tranquil state of mind. In the past, qigong was also called nei gong (inner work) and dao yin (guiding energy).The documented history of qigong goes back approximately 2,500 years. However Chinese archaeologists and historians have found references to qigong-like techniques at least five thousand years old. 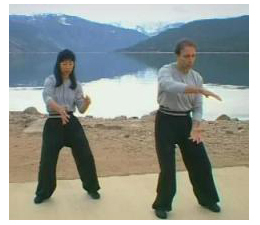 That night,I did end up doing some of the movements of qigong that were shown on the web . I didn’t feel much of a difference and I really wanted to find a good teacher, buy a dvd and practice everyday. I went up to the Barnes & Noble the next day and browsed the Qigong videos. I had 5 different DVD’s in my hand. I had to choose just one. My body resonated with Qigong beginning practice with Francesco & Daisy Lee- Garripoli. So I bought it, brought it home and went to bed. I woke the next day in agony. I thought to myself there is no way I am going to be able to do these qigong exercises. My arm and shoulder were throbbing with stabbing nerve pain and stiff as a board. But I put my big girl yoga pants on, slid the DVD in the player and began my journey. I will never forget the feeling I had when the pain shifted. It went some where, anywhere, but nowhere near me. It just disappeared. I was doing the swimming dragon movement and all of a sudden it was if a lightness just began to flow through my body. I was so excited that I could barely make it through the rest of the practice. I did finish and when I did, I was healed. After one long year of chronic joint pain, I was completely healed. Not just my shoulders, but my whole body felt as light as air. You see not only did I have frozen shoulder, but I was suffering with Fibromyalgia as well. Anyone that knows that pain, knows that it’s just disgusting. No one should live with that kind of pain. And mine was gone. 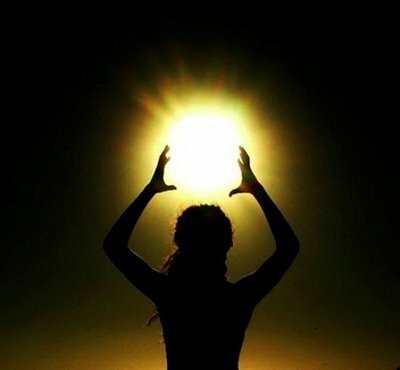 The continuing practice of qigong, a healthy diet and receiving massage has gratefully kept me well for many years now. Daisy Lee has come out with a new Qigong practice DVD called Radiant Lotus, Qigong for Women. Daisy, her husband Francesco and their teachings of Qigong are my heroes. I have dabbled into other teachers of qigong. Gone to seminars, classes and such. Yet none have had the effect that Daisy and Francesco’s teachings have had on me. Maybe it’s because he is Italian. 😉 Or that Daisy is so precious and kind. Or maybe it’s just because of the pureness that radiates from their teachings of Qigong. I just love them, period. I share all this information with you because I know the power of how we can use our own life force energy, coupled with a power intention to heal ourselves. I believe in you. Please believe in yourselves and become the miracle you seek. I was just discussing Qigong with my sister. I wasn’t sure where to start. Thank you so much. I will check out your recommendations. I bought the whole set of DVDs from Spring Forest Qigong – Chunyi Lin. You are encouraging me to open them and begin! The biggest step is the first step and I’ve been putting it off. The time is now. Thank you! I meditate an hour each morning and practice therapeutic touch on myself. It is so true, we need to listen to our hearts and bodies. I’ll see how I do with this version…appreciate knowing of an alternative should it be appropriate.